Thank you for visiting this page dedicated to one of the truly great presidents, Ronald Reagan, 40th President of the United States. No president is perfect and President Reagan was no exception, however, Ronald Reagan embodied more of the spirit of what the Founding Fathers intended than any other president in recent times. 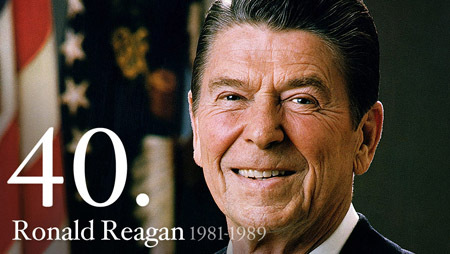 Ronald Reagan inspired Americans who worked to bring America out of a painful economic recession. From life guard, to actor, to union leader, to Democrat, to Conservative, to 40th President of the United States.